Many of our customers are art lovers from all walks of life - from fortune 500 CEOs, high profile politicians and members of the Royal Family, to doctors, dentists, office workers, teachers, engineers and members of the armed forces. 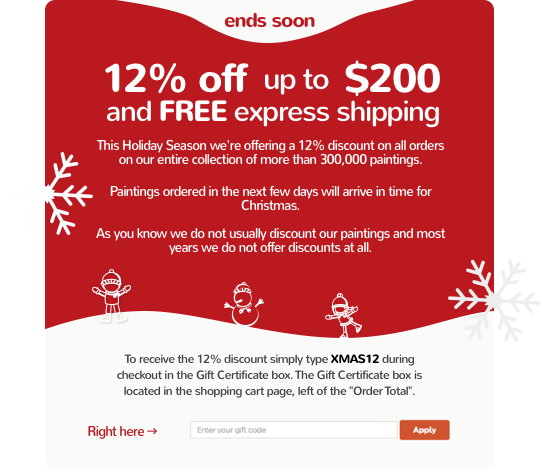 We’ve sold paintings to customers in well over 120 different countries, proof that the love of art knows no borders and boundaries - American, Australian, French, Italian, Russian or Chinese - all come to 1st Art Gallery for their home decor needs. Handmade paintings on canvas are a great way to make any room come alive with your favorite work of art. It’s all possible thanks to our massive collection which includes works from more than 5,000 artists, over 300,000 paintings in total - a selection which makes us the largest gallery in the world. Why settle for a generic mass produced paper print when you can own a real handmade oil painting on canvas which was individually custom made for you? To make it easy for you to find the perfect painting we’ve organized our selection into works by artist, by style, by collection, by museum, and by subject. 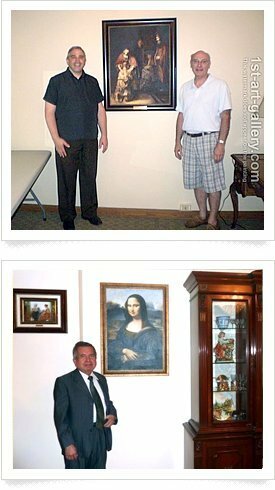 Please remember that if you can’t find the painting that you are looking for - we can still paint it. Simply complete the Request a Quote Form with the title of the painting that you are looking for and we will get back to you with a quote. 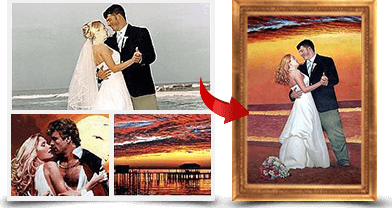 We can also of course turn any photograph that you send us into a handmade oil on canvas portrait. Don’t forget that your purchase is Risk-free and guaranteed for life.